At least three roofing companies in Waterloo Region have recently been targeted by a complex scam involving recently sold houses. There was no obvious red flag, but there were a number of things about the email that seemed a little off. It had several spelling and punctuation issues. The sender had an American phone number and claimed he had learned of The Roofman Inc. through Yelp, an American website. The property in question had recently been sold. Real estate agent Michelle Wobst says she’s aware of at least three roofing companies that received similar emails about it. One company – concerned that they were being scammed – called Wobst to confirm if the name on the email was the name of either the buyer or the seller. It wasn’t. “They were kind of skeptical as to why somebody would be doing the roof during the process of selling,” she said. Another company was a little less skeptical. Last week, the seller woke up and noticed a crane in her driveway and shingles being loaded onto her roof. That roofing company had been sent a cheque containing a full payment for the supposed roof replacement job – and a little extra. The emailer had asked them to return the difference through an email transfer. “Obviously the first cheque isn’t going to clear, and now this guy’s out like $1,500,” Wobst says. At The Roofman Inc., it was the third time a similar scammer had tried to get them. Williams has one piece of advice for any roofing companies unsure if a questionable request is legitimate. “If you can’t get a face-to-face with the potential client … you should definitely consider doing more research,” he says. Police say homeowners who see a construction crew performing unexpected work at their home around the time of a sale or purchase should contact their real estate agent to determine exactly what is happening. A man has copped a $7500 fine for dumping a load of waste mixed with asbestos next to a water plant in regional NSW. The man from Perthville was fined after he was caught on CCTV off-loading the asbestos outside the Bathurst Water Filtration Plant in September 2017. NSW Environment Protection Agency spokesman Sandie Jones said the cost of disposing of the asbestos legally at Bathurst landfill would have been about $35. Instead, the illegal dumping cost tax-payers more than $4000 for the Bathurst Regional Council to employ a licensed asbestos contractor to help safely clean up the site. “In the age of surveillance cameras, dashboard cameras and cameras on mobile phones, the chances of a witness observing waste dumpers are ever increasing,” Ms Jones said in a statement on Thursday. Bathurst Mayor Graham Hanger said the council will be seeking to recover the costs of the clean up from those who dumped the waste. Lung cancer, mesothelioma and asbestosis can result from an individual breathing in the fibres if they become airborne, according to Safe Work Australia. A HOUSING association has come under fire from a resident who is concerned about asbestos and repair “delays”. Gwyn Roberts, 62, lives indepenedently in the Felin Uchaf complex in Dolgellau along with several other elderly or vulnerable residents. After retiring early due to medical issues, Mr Roberts moved into his property, maintained by Cartrefi Cymunedol Gwynedd (CCG), five years ago. In those five years, the 62-year-old claims he has faced an uphill battle to get his flat to an acceptable living standard and to get CCG to even respond to his complaints. “My roof, and several others around here, has been leaking like a sieve for a long time now,” Mr Roberts told the Cambrian News. “I’ve made numerous complaints and it’s only through constant nagging that anything is getting done. “After 18 months of perpetual pestering I’ve managed to get them to replace my roof and my neighbouring flats too but we’re the only ones as far as I can see. “They’ve told us to stay indoors whilst the work is ongoing as there’s asbestos in the roof – they won’t tell me what kind – so that begs the question of whether a leaky roof with asbestos in it is safe? “I’ve spoken to other residents about it and they’ve expressed their concern too. A CCG spokesperson said: “Many houses constructed before 1999 contain asbestos materials. When we commission any works that disrupt the fabric of the building, we check for the presence of asbestos and, if found, appropriate action is taken. “Asbestos-related material was present in the roof of 6 and 7 Felin Uchaf and specialist contractors were appointed to have it removed. “Following an inspection, it was also identified that the most viable solution for these properties was to completely replace the roofs. Nowadays, the mere mention of asbestos is enough to send a shiver of concern through most people – and rightly so. 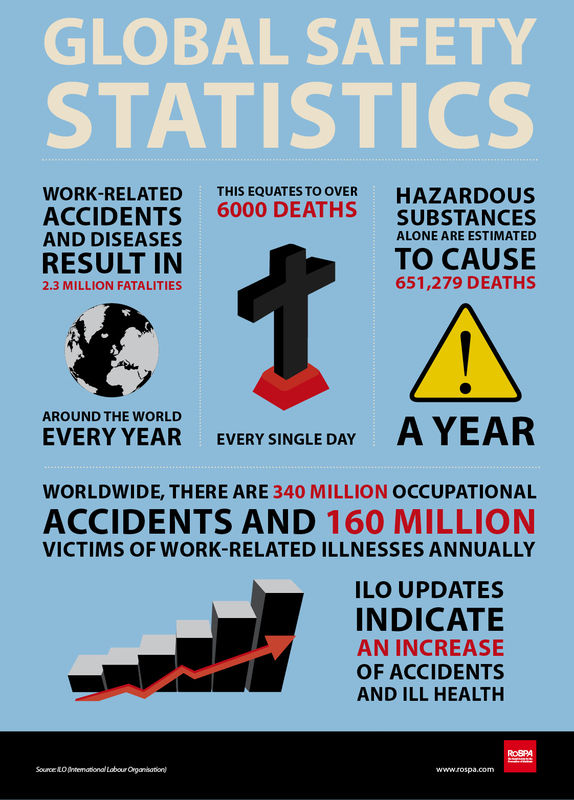 Despite updated asbestos regulations coming into force in 2012, asbestos is still the single greatest cause of UK work-related deaths and remains a source of misery and ill-health the world over. Unlike many toxic substances found in the workplace and which are manmade, asbestos is a naturally occurring material. A silicate mineral with long, thin fibrous crystals, asbestos is mined from the earth – a practice which is still carried out in Russia, China, Brazil, Kazakhstan and, up until 2011, in Canada. In 2009, two million tonnes of asbestos were mined worldwide. The terms ‘asbestos’ actually refers to a set of six minerals. All six are strong, heat resistant and chemically inert – properties that originally made it such a ‘desirable’ material for a range of products and applications. Of the six types, three were commonly used in the UK: chrysotile (white asbestos), amosite (brown asbestos) and crocidolite (blue asbestos). All six have been found to harm human health due to the long term damage that breathing microscopic asbestos fibres causes to the lungs. The earliest known use of asbestos was in about 2,500 B.C in what is now Finland, where fibres were mixed with clay to form stronger ceramic utensils and pots. Since then it was used by most of the world’s major civilizations, including the ancient Greeks, Romans and Persians, where its fire-resistant properties were heralded by many as a form of ‘magic’. However, it wasn’t until 1858 that the asbestos industry formally began, when the Johns Company in New York began mining asbestos for use as industrial insulation. It might seem incredible to us now that we are aware of its dangers, but during the first half of the twentieth century asbestos was used in a variety of surprising applications. Back in the 1930s, 1940s and 1950s, for example, asbestos was used to make a fake snow product that was used as a Christmas decoration. Its heat-resistant properties meant it was thought of much lower fire risk than alternatives – and it was even used on the film set of ‘The Wizard of Oz.’ In the 1950s asbestos also appeared in the filters of some cigarettes (as if smoking wasn’t dangerous enough!) 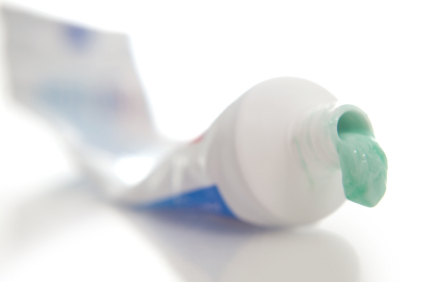 and, perhaps most surprisingly of all, as an added ingredient in a brand of toothpaste – apparently due to the abrasive quality of its fibres! As early as the 1930s it was understood that exposure to asbestos fibres could cause a range of health problems, the most serious of which is mesothelioma – cancer of the outer lining of the lung which is invariably fatal. Due to the risks posed by indirect exposure, it is difficult to put an exact figure on the number killed. However, the British Lung Foundation estimate that more than 2,000 people are diagnosed with mesothelioma every year in the UK and someone dies every five hours. What’s more, in a report called Projection of mesothelioma mortality in Great Britain produced for the HSE, around 91,000 deaths are predicted to occur in the UK by 2050 as a direct result of exposure to asbestos. Despite the fact that it asbestos no longer used in UK industry, asbestos related deaths are predicted to rise due to exposure of workers and others to asbestos in existing installations such a older buildings, industrial plant, older vehicles and so on. That is why the duty of occupiers to undertake surveys and to have plans for managing asbestos safely are so important. If you are unclear about the dangers of asbestos, you and your colleagues need basic asbestos awareness training, followed by training and professional advice on what you need to do to keep yourself and others safe from this potentially deadly substance. Asbestos was extensively used by the UK construction industry from the 1950s to the mid-1980s for a wide range of applications, the most common being fireproofing and insulation. Take the education sector, for instance. From the 1950s to the 1980s, ‘system buildings’ were one of the most popular methods of erecting school premises. However, this method of construction relied on structural columns being fireproofed with Asbestos Containing Materials (ACM). Although asbestos was made illegal in 1999, it’s highly probable that any building that was built before the year 2000 contains some form of asbestos. Given this risk, individuals and companies responsible for maintaining and repairing premises have a duty to manage asbestos as part of the Control of Asbestos Regulations, which came into force in 2012. What’s more, an abundance of Government-funded research and funding has resulted in many schools being tasked with the challenge of finding an asbestos management solution that suits their property and meets their budget and timescale. However, what many people do not realise is that according to Health and Safety Executive (HSE) regulations, asbestos that is in good condition, can be left where it is, providing an in-place management plan is exercised. Why opt for encapsulation over removal and what are the benefits? While asbestos removal may seem like the obvious choice for dealing with asbestos, it’s often complicated, expensive and can result in extensive downtime. In contrast, asbestos encapsulation within a seamless, protective coating is possibly the safest and most cost effective method of asbestos management. It involves relatively little disturbance of the asbestos, therefore minimising risk. How does asbestos encapsulation work? 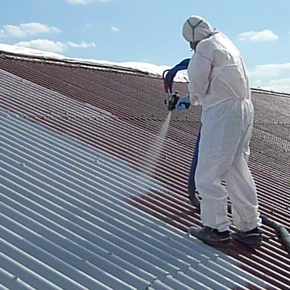 Special polyurea products are used to apply the coating, which typically only has to be applied once and can often seal asbestos that’s present in hard to reach places. What’s more, another advantage offering by the coating is that it’s less likely to flake or crack over time. Compared to other more traditional materials like polyurethane and epoxies, polyurea technologies offer fast and reliable application. Touch dry in a matter of minutes, layers can be built up quickly, which means a site can return to service in hours, rather than weeks. A plural component spray, polyurea technologies are renowned for outperforming all other performance coatings when it comes to preventing or bridging dynamic cracks, providing durability and the ultimate layer of protection. With no VOCs, polyurea technologies are also ideal for environments where health and safety is of primary concern, as well as buildings that will remain occupied during the application process. As with any polyurea treatment, encapsulation is conducted by trained staff in controlled conditions and in accordance with the latest industry regulations and standards. Although every encapsulation is tailored to each site, most processes tend to typically involve adequately preparing the area to ensure the best possible results and regular follow up checks to assess the condition of the asbestos over time. While many people’s instinct might be to remove asbestos, it’s worth remembering that it’s not necessarily the safest or most cost effective solution. Providing the asbestos is deemed to be in good condition, taking the route of asbestos encapsulation is a highly effective, more affordable way of managing asbestos, not to mention, less hazardous and more efficient. Most work with higher risk asbestos-containing materials must be carried out by licensed contractors. Only competent workers and managers, provided with suitable information instruction and training and using appropriate respiratory and other protective equipment, may undertake licensed asbestos work. Further information on providing information instruction and training for licensable work can be found in The licensed contractors’ guide HSG 247 and the Approved Code of Practice L143 Managing and working with asbestos. Important – Competent providers of information, instruction and training should have adequate practical experience in the asbestos sector and a theoretical knowledge of all relevant aspects of the work being carried out by the employee. It is the responsibility of the employer to determine whether a training provider is suitable or not. As a commercial property owner of premises leased or rented to business, you may have management or control of your premises. Use this checklist to help you find and identify asbestos in your building or structure. However, building materials may have been stockpiled, stored or recycled and used in the construction of buildings after the bans came into place. This means there is still a chance that asbestos containing materials may be in buildings constructed after the mid-1980s. Of course any refurbishment or extensions to an original building before the mid-1980s may have used asbestos containing materials. Just because the original parts of the building do not contain asbestos, you should not assume that additions do not. If you have cement sheet, there’s a chance it could contain asbestos fibres bonded to cement particles. For example, if a roof is made from corrugated cement sheeting, there’s a chance it contains asbestos. – you otherwise can’t be sure it doesn’t contain asbestos. – be able to determine that material may be friable or non-friable and evaluate its condition. If you do not have the capability to identify asbestos, then you should use an external providers, for example, a consultant. – references from previous work (consider asking for examples of reports prepared for other clients). You can find a qualified Occupational Hygienist through the Australian Institute of Occupational HygienistsThis external link will open in a new window. The analysis must be undertaken [insert the Asbestos Samples] by a person who is suitably trained and experienced in a safe method of taking samples of asbestos-containing materials. Samples should be taken in a controlled manner that does not create a risk to the person taking the sample, or people who will work or visit the area where the sample was taken. People taking samples should assess the risk and implement appropriate controls. These may include the use of a high-efficiency particulate air (HEPA) filtered vacuum cleaner and/or a water spray bottle to suppress airborne dust (a respirator – approved by AS/NZS 1716:2003 Respiratory protective devices – may also be used to minimise exposure). Samples need to be placed in sealed containers (for example, snap-lock durable bags) and appropriately labelled so that it’s clear where the sample was taken. Under the Occupational Health and Safety Regulations 2007, only approved analysts can analyse samples containing asbestos. Before you take a sample to a laboratory, you should confirm the laboratory is accredited to perform asbestos analysis. You can do this by visiting National Association of Testing AuthoritiesThis external link will open in a new window (NATA).